Edraw provides an interactive column charting tool that offers advanced features yet is simple to use. 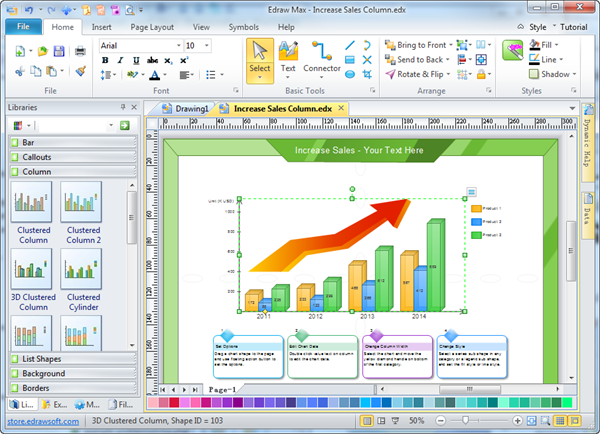 Still do large amounts of manual work and endless adjustments of graphical elements to create column charts? We agree that the data speak louder than words. But we never accept to spend large amount of time. So it is time for you to speed up. Otherwise, you will not be able to catch up your competitors. A column chart is a graphical representation of data with bars of lengths regularly proportional to the magnitudes or frequencies of what it signifies. 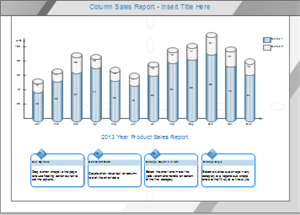 Column charts are useful for showing data changes over a period of time or for illustrating comparisons among items. Column charts display vertical bars going across the chart horizontally, with the values axis being displayed on the left side of the chart. With column chart, you can immediately see a gentle increase of users without reading any data. 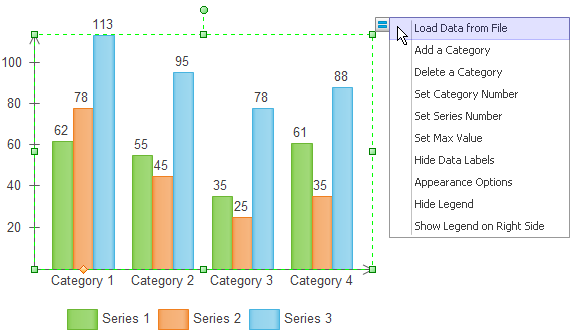 You can choose the column chart to represent a variety of different charts including simple columns, clustered columns, stacked, 100% stacked, and high/low. 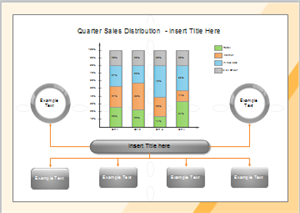 Try Edraw column chart software to keep one step ahead or more. It integrates frequently used graphical elements, automatic distribution of labels and various types of charts. Our awesome community integrates with relentless pursuit of perfection so that you can communicate with maximized impact. Making data-driven charts is no longer painstaking and difficult but easy and fun with our software. If you don't believe, you will never know what you can achieve. So check it out. With lots of pre-drawn column chart examples and over 8500 symbols, charting has become extraordinarily easy! It is easy to design simple column graph, clustered column, 3d clustered column, stacked column, 3d stacked column, stacked cylinder, 100% stacked column, 3d 100% stacked column, single column graph and more. Column chart shows data changes over a period of time or illustrates comparisons among items. Clustered column compares values between different categories. 3D clustered column is available with a 3-D visual effect. Stacked column shows the relationship of individual items to the whole, comparing the contribution of each category's value to a total. 3D stacked column is available with a 3-D visual effect. 100% stacked column compares the percentage that each category's value contributes to a total. 3D 100% stacked column is available with a 3-D visual effect. All of Edraw's column chart symbols are smart shapes that know what to do according to users' order. They are attached with floating buttons that support point and click editing of shapes. Select the shape and the smart editor will appear immediately. See the following illustration. 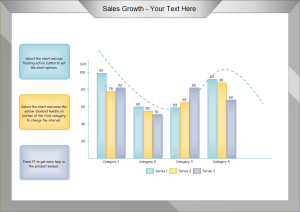 We prepared this vector bar chart template for you to view and apply.